“Presbytery and the name of Ian Maclagan were almost synonymous for the presbyters of Argyll. Ian’s diligence, energy and commitment were matched equally by his sharp legal mind and quick insight. He was expected to answer every question he was asked about church law – and usually he did. For 10 years Ian kept us right on all matters ecclesiastical while delighting us with his quick wit and humour. Ian was renowned for his love of Latin and no meeting was a true Presbytery gathering without some reference to the phrase ‘in hunc effectum’. After 10 faithful years Ian has decided to hang up his copy of ‘Practice and Procedure in the Church of Scotland’ to enjoy the gentler pastimes of retirement. We will all miss him immensely and we thank him for all he has done in the service of his Lord, for his church, and for each one of us. We will also greatly miss another voice of experience and wisdom in our Depute Clerk, George Cringles. George has been a superb administrator, past Moderator and general source of information as well as taking accurate and thorough Minutes of meetings. George was also responsible for organising the Presbytery handbook which became an invaluable tool for all presbyters. We are fortunate to have someone to take over from Ian and who will guide us in the future years with his own wisdom. 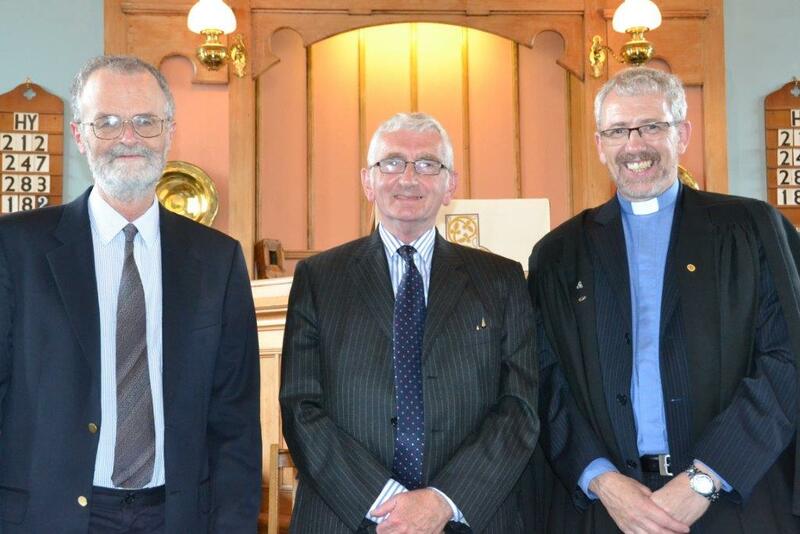 Dr Christopher Brett has accepted the position of Presbytery Clerk for Argyll and we are delighted to have him with us.” (See news item, March 2013).